At least 75 people were arrested yesterday by the Boston Police Department during a targeted raid in the Boston neighborhood of Roxbury. The raid, called “Operation H,” took place around 6 a.m. Tuesday morning in an effort to crack down on drug deals and gang-related violence in the neighborhood before the beginning of summer. As of mid-afternoon yesterday, 75 individuals had been arrested for violent and drug-related crimes including cocaine and heroin dealing. At least 14 individuals were indicted by a special grand jury and arraigned Tuesday morning in Suffolk Superior Court. All of the individuals arrested, according to police, were considered dangerous and had been involved in gun violence. Most of the charges against the gang members were brought on by a targeted narcotics investigation. According to Police Commissioner Edward F. Davis investigators had been building their case against gang members for several months. “Detectives videotaped the suspects selling illegal drugs to undercover officers from various locations. The suspects were openly plying their drug trade, victimizing the community and creating an atmosphere of fear — today’s arrests will give residents back their neighborhoods,” Davis said. Investigators will be now be seeking search warrants for several residences to gather more evidence for the case, as well as pressuring individual group members to provide additional information about several unsolved violent crimes around the city, including the January shooting of a 13-year old boy. The boy, Gabriel Clarke, was shot while walking to choir practice on Humboldt Avenue. Clarke fortunately survived the ordeal, and police believe that he was an innocent victim who was caught in the middle of a violent gang rivalry. According to officials, police typically carry out these types of raids to take dangerous people off the streets as well as the violence caused by the summer heat. The fact that local officials are conducting these raids at this stage of spring shows that law enforcement is aware of the severity of gang violence and is doing more than just talking about getting gangs off the streets. Hopefully these tactics will result in reduced gang violence and subsequently an overall reduction of criminal activity this summer. These types of cases can cause a myriad of problems and issues for defendants, prosecutors and defense counsel, alike. 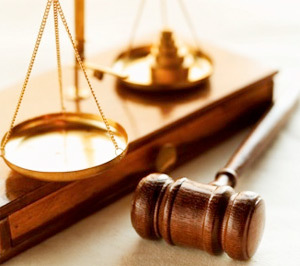 It is imperative from a defendant’s perspective to hire a defense attorney as soon as possible. Many important choices must be made and discussed between the defendant and his counsel in the very early stages of the case. These may include whether to cooperate with the prosecutor, whether to challenge venue, whether to challenge the search and arrest warrants and to ensure the preservation of potentially valuable evidence and witnesses. Altman & Altman, LLP has handled many of these types of cases and can ably advise and represent a defendant at any stage of the prosecution. Whether you have just been arrested, have a trial date coming up or are being questioned by police or other investigators, we recommend that you contact us immediately for a free consultation to discuss all potential avenues for the defense of your case.